From exciting scientific research and groundbreaking medical procedures to inspiring personal and community-related stories, there are many reasons why both physician and patients choose Montefiore Medical Center. Browse through the publication links below to learn more about the unique medicine and people that have made Montefiore a premier academic medical center. Update is Montefiore's bi-weekly newsletter, keeping associates informed of new initiatives, research outcomes, and events happening across the health system. Each issue contains timely and topical information to keep associates connected to the Montefiore Health System, as well as the community. 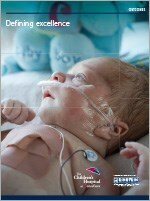 Read the latest edition and archived issues of Update. Take a look at Outcomes for insight and information on the exceptional programs at The Children’s Hospital at Montefiore (CHAM). In this publication you’ll read about our accomplishments and see evidence of CHAM’s commitment to excellence though outstanding clinical and academic outcomes data, inspiring patient stories and numerous faculty awards and recognitions. We invite you to learn more about how we’re defining excellence at CHAM. An internationally recognized team of specialists at Montefiore’s Department of Surgery provides patients with the complete spectrum of innovative treatments and minimally invasive surgical options. See why the department’s reputation for clinical excellence makes it a top choice for patients throughout the region. Montefiore is a premier academic medical center with nationall renowned Centers of Excellence and programs in primary, specialty and home care. 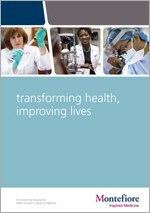 Transforming Health, Improving Lives aims to build awareness about Montefiore's nationally reknowned programs, cutting-edge research, a groundbreaking education model and a strong commitment to the Bronx community that places an emphasis on equity in providing quality medical care to all. 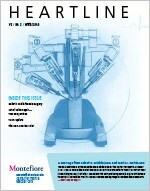 Learn more about Montefiore's capabilities through this detailed and informative publication. This quarterly magazine for Montefiore associates provides an in-depth look at what is happening across our growing and dynamic organization. The goal of each issue is to start conversations in which we can share ideas, thoughts and feedback about what makes working at Montefiore such a special experience. 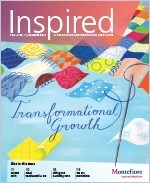 Read the latest edition and archived issues of Inspired. This magazine for Montefiore clinicians and researchers highlights major strategic initiatives, partnerships and collaborations, science and technology, the delivery of care and our connections to the community. 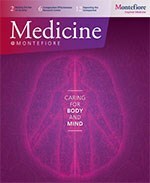 Read the latest edition of Medicine@Montefiore. 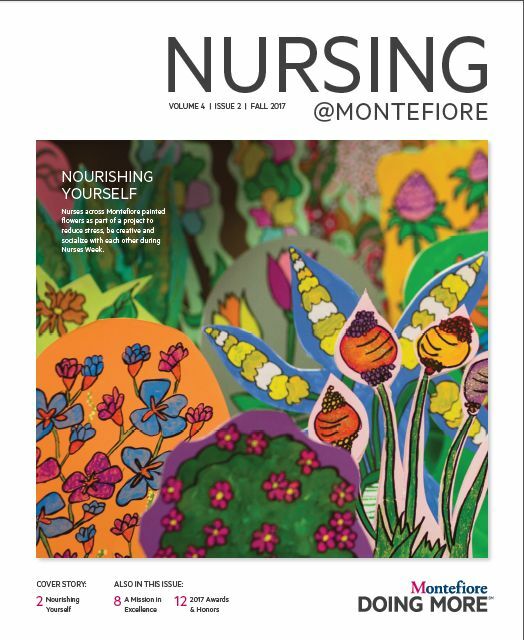 The theme of our Fall 2017 issue of Nursing@Montefiore is the Journey of Nursing Excellence. Achieving excellence as individual nurses and as a department system-wide requires us to be aware and to embody core nursing values and a shared vision. 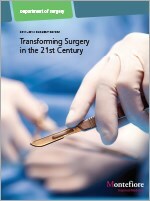 The Montefiore Einstein Center for Transplantation stands at the vanguard of transplant care. Our world-renowned surgeons and physicians deliver exceptional outcomes, technical innovation and clinical excellence, while elevating the standard of care for transplant patients. 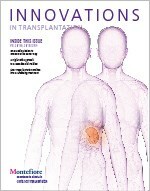 Read Innovations in Transplantation to find out why the Montefiore Einstein Center for Transplantation is an acknowledged leader in research and patient care. The Heartline Newsletter features articles on the latest procedures and treatment options as well as cutting edge technology and research by our world-renowned experts at the Montefiore Einstein Center for Heart and Vascular Care. View the latest edition of the newsletter. Montefiore publishes a number of brochures throughout the year, highlighting a variety of our nationally recognized clinical services and programs.